This process is only available to Account Owners/Managers. If you're having issues connecting all devices to the router, try restarting the router. Navigate: My Verizon > My Devices. From the 5G Home screen, click Performance tests. Allow several seconds for the test to complete. 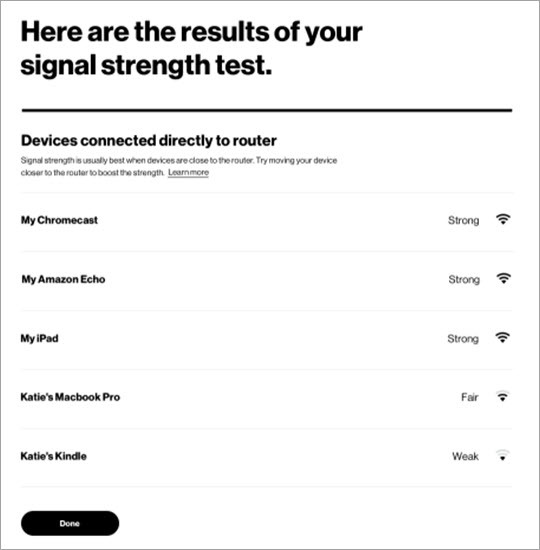 Only devices connected via Wi-Fi to the 5G Home router are tested (not devices connected via ethernet or through Wi-Fi extenders). View performance test results then click Done. Attempt to move device closer to the router if signal is weak. 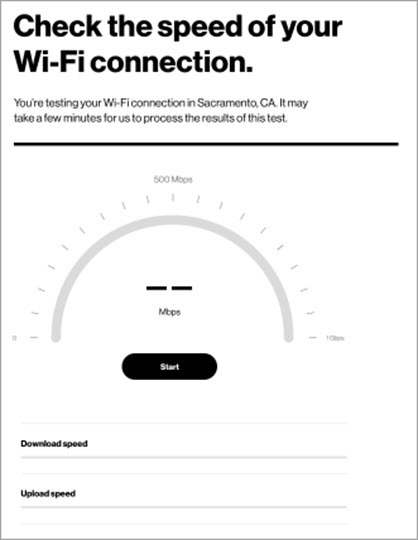 From the Wi-Fi speed test screen click Start. 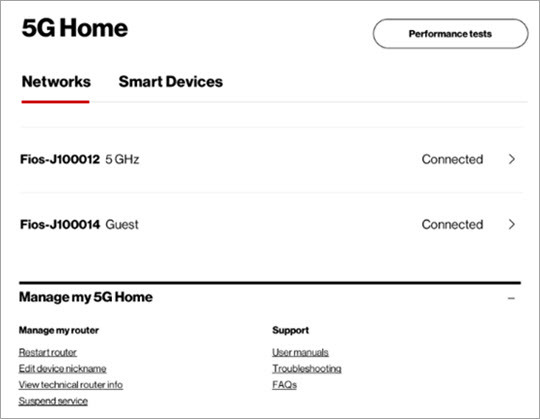 Only devices connected to the 5G Home router are tested. View performance test results for download and upload speeds then click Done.